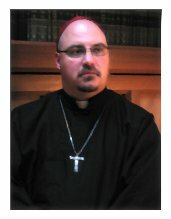 The Apostolic Johannite Church and the Johannite Archdiocese of Wisconsin are pleased to announce the elevation of Father Tony Silvia to the rank of Archpriest, in recognition of both his service to the wider community as well as his current work as Dean of the Eastern United States for the Archdiocese of Wisconsin. 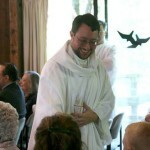 The founding Rector of St. Sarah’s Parish in Boston, MA, author of Sanctuary of the Sacred Flame and now the Executive Director of the Gnostic Wisdom Network, the Very Rev. Silvia has played a pivotal role in the educational life of the Apostolic Johannite Church. The Very Rev. Fr. 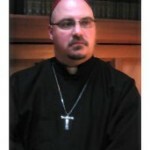 Tony Silvia will be elevated to the Order of Archpriests by His Grace, the Primate of the United States during a Pontifical Mass presided over by the Patriarch of the Apostolic Johannite Church on May 23rd at the Parish of St. Eve in Harrisburg, PA during Conclave 2015. Our Bishop, Dr. William Behun, Primate of the United States gives a great talk on Ancient and Modern Gnosticism and how the AJC connects with Classical Gnosticism. Whether you are new to our Church and Gnosticism or a seasoned practitioner, this 20 minute video provides an excellent overview. You can watch it here.